The Trixy is one of our most versatile wraps yet! 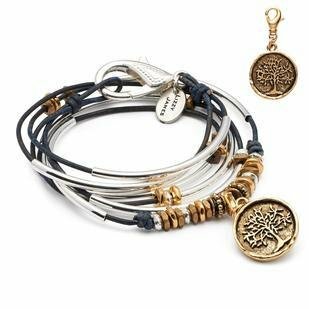 This wrap can be worn as a bracelet and a necklace, and features a detachable gold ornate medallion pendant. Comes with Ornate Medallion Pendant. Handmade in the USA.